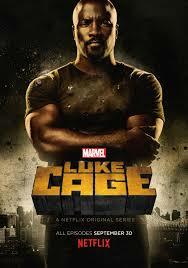 Netflix once again teams up with Marvel to bring a super hero into the small screen in Marvel’s Luke Cage. After previously appearing in another Netflix Original, Marvel’s Jessica Jones, the hero of Harlem gets his own show. The big excitement about Luke Cage is the differences of perspective of the already humanistic super heroes, opposite the expensive and flashy life of Tony Stark and the rest of the Avengers, Luke lives in the ghettoes of Harlem, and especially opposite of the Marvel formula, Luke has had his power for some time now but chose not to expose himself to the world. Besides Netflix’s already good reputation of good super hero shows, the major excitement for Luke Cage is the cross over television show The Defenders. On July 21 and 22, the San Diego Comic Con teaser trailer was posted on YouTube to establish a new Marvel super hero team The Defenders, uniting all of Marvel’s super hero shows i.e Daredevil, Jessica Jones, Luke Cage, and Iron Fist. Mike Colter premieres as Marvel’s invulnerable hero for hire Luke Cage.